Can you crack the above picture which shows 9 clues? 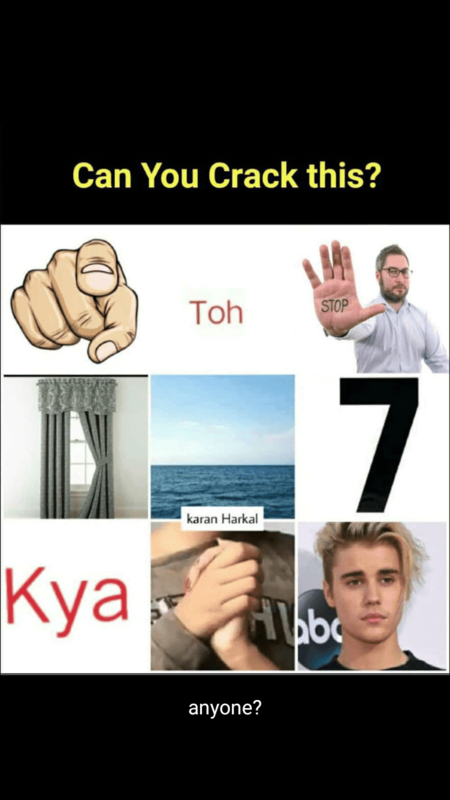 The clues are pointing finger, Toh, STOP, Open curtain, Sea, 7, Kya, Holding Hands and Justin Bieber. This is a viral Hindi puzzle trending in social medias. Try to solve and put your answer in the comment section below. Or check for the right answer below. Share this with your friends in WhatsApp and Facebook.